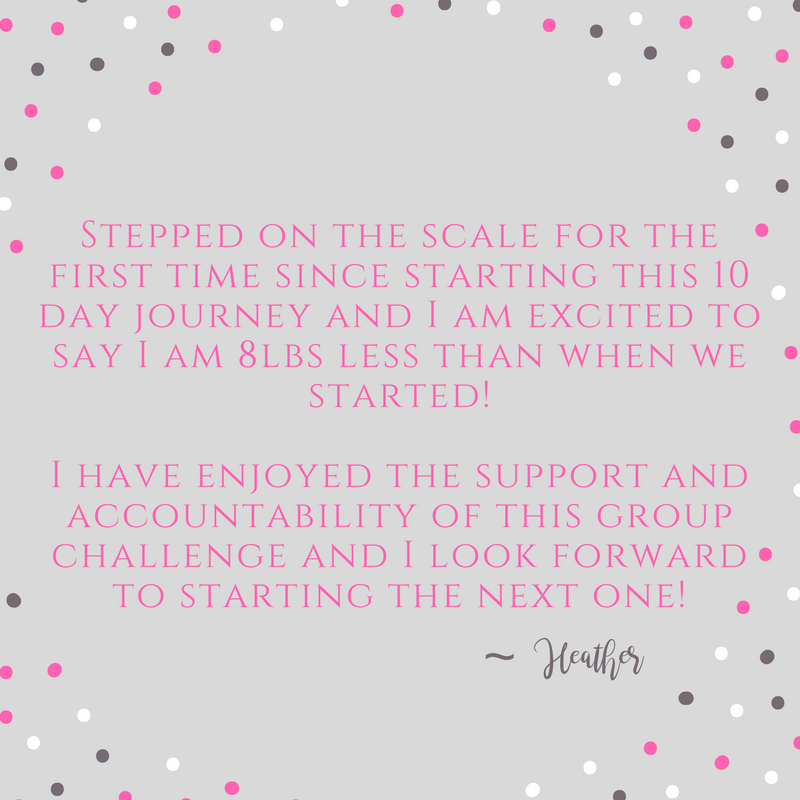 In this 10 day small online group setting, we will focus on clean-er eating and set you on the path to build new healthier habits. Accountability is the missing piece of most weight loss programs, and with this, you will have it DAILY! We will help you get results by providing the tools, support and accountability you need. 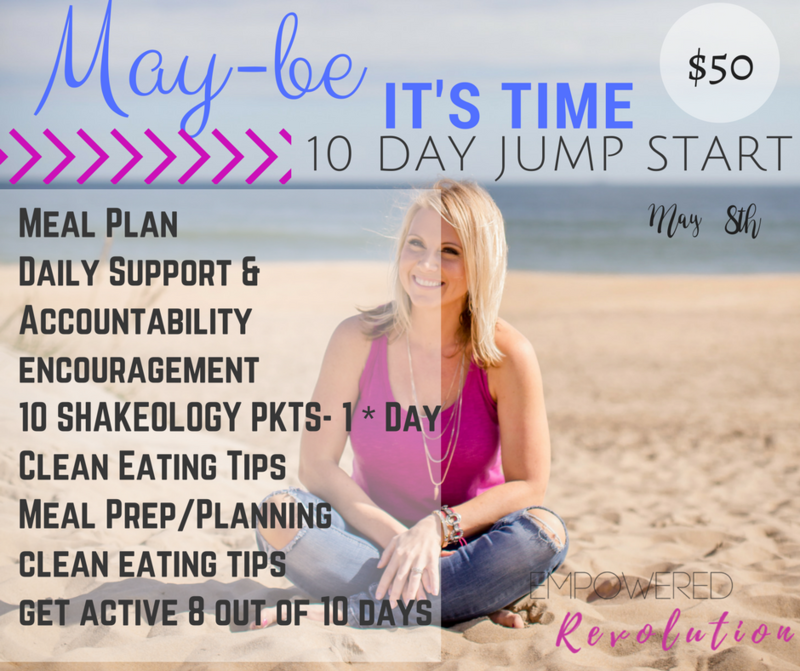 You will get a meal plan, 10 packets of Shakeology, my support and peer support from other like minded ladies who are working on their own health and fitness goals just like you! We will also help you set goals, lean how to meal prep and plan for success. And give you clean eating tips and tricks to navigate upcoming bbq's, birthday parties and more. Our goal is to get you moving in the right direction - closer to looking great, to feeling confident in your skin and more importantly, living a healthier lifestyle, so you can enjoy your life more. We do encourage you to get active for at least 30 minutes 8 out of 10 days in the group. The goal is to create new healthy habits! We start May 8th :) Read on for more info!